What would happen if a person is in a coma and cannot make decisions for his own personal healthcare needs? What if he wishes to have his life support stopped if he doesn’t wake up after a certain period of time but he can no longer relay that to his doctor and relatives because he can no longer speak? This is what a Health Care Directive is for. 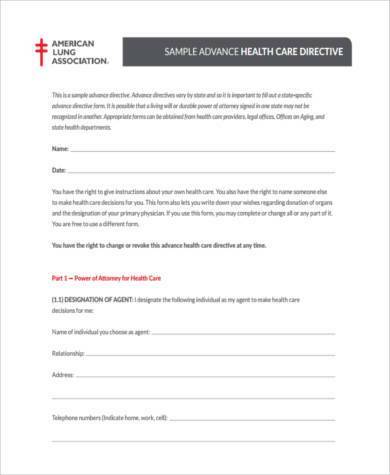 It is a form that would allow you to make your healthcare decisions for you when you are already unable to do so. You can also specify in this form any preferences you have for your treatment. 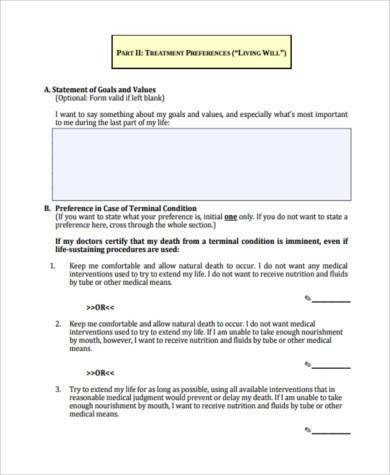 It is basically like a will, but it is carried out while you are still alive. For other Health Forms, you may click on this link for samples. Living Will: This is a health care directive that allows a person to make health care decisions for the future if he ever cannot make those decisions for himself anymore. This is only applicable if the person is terminally ill with no chance of recovery or if he is permanently unconscious. If there is ever a hope for recovery or if the person is only temporarily unconscious, the living will does not apply. 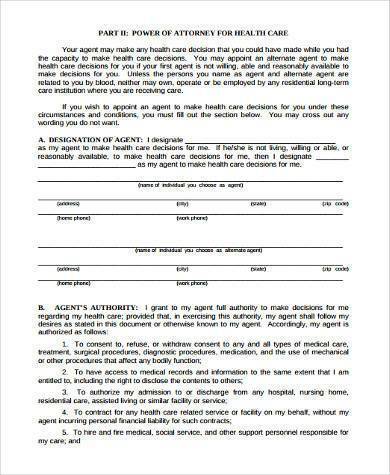 This is why it is important to also have a Health Care or Medical Power of Attorney to cover you in cases like these. 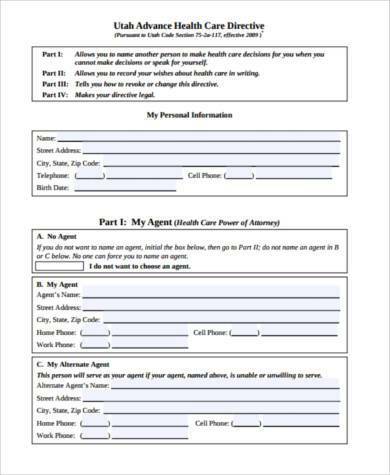 Health Care or Medical Power of Attorney: For this, you may choose a proxy or an agent to make all of your health care decisions for you when you are unable or mentally incompetent to do so. 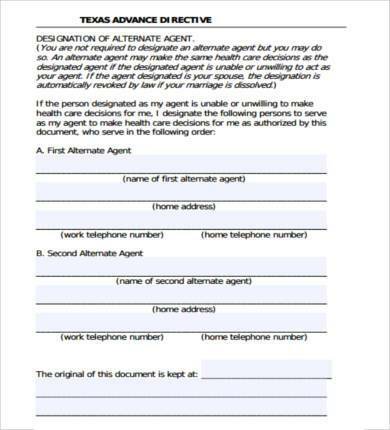 You may also choose one or more alternate agents in case your primary agent is unable or unwilling. 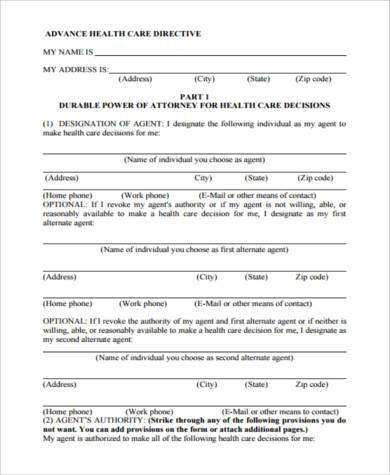 Check out our Health Care Power of Attorney Forms for samples and more information. 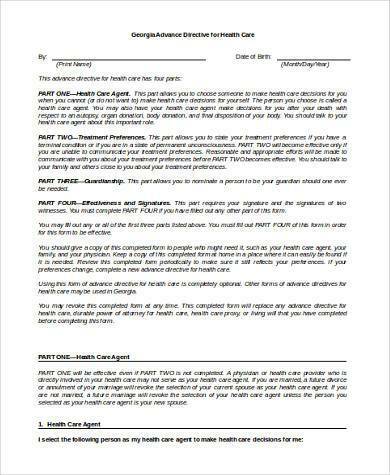 If you are drafting a Health Care Directive, you might just as well have yourself checked by your physician and have them assess your overall health condition using the parameters or criteria set in Health Appraisal Forms. What Information Should be in Your Health Care Directive? Having a Health Care Directive is not mandatory, but it would be a good preparation to make sure that your wishes are carried out exactly as you want it. If you want to have your organs donated after you pass so that you can help prolong other people’s lives even after yours has ended, you may state that in your Health Care Directive. If you do not wish to be a financial burden to your family when there is no longer a reasonable chance for recovery, you may state in your directive what you wish to do so, should this happen. It doesn’t matter that you might not need it; the important thing is that if you ever do, everything is ready and carried out according to your wishes. 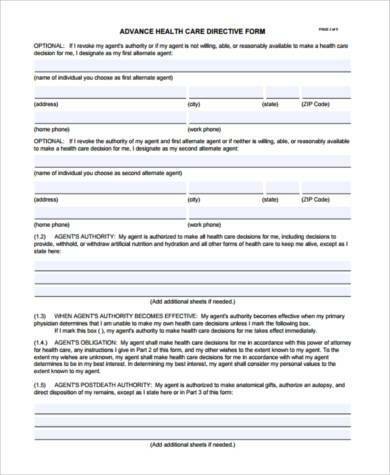 You may also see our Health Care Claim Forms for use when filing health insurance claims.